R0cket League, a ridiculously fun mashup of driving and soccer (seriously! ), has taken the Internet by storm. The unexpected popularity has ravaged the game’s servers. Despite constant downtime, it hasn’t stopped vehicular sports fans from coming back over and over. People can’t stop playing Rocket League, even if Rocket League won’t let them. And after playing a few matches myself this morning, I can’t blame them: this game is so damn good! 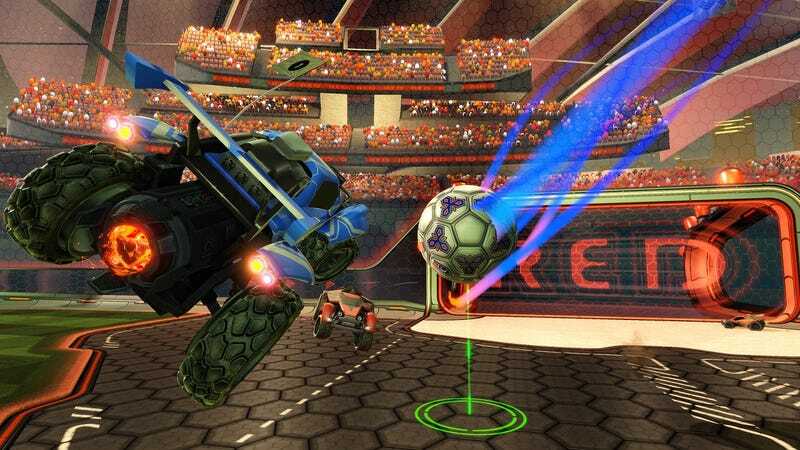 The game’s developer, Psyonix, seems to have been caught off-guard by the warm reception for Rocket League. The game has reportedly been downloaded more than two million times, and that number only continues to grow. It also helps the game won’t be getting any DLC—a mix of paid and free—until a few patches arrive to clean up the game’s multiplayer. That’s how you handle a less-than-ideal situation, and I suspect it will continue to pay dividends for Rocket League in the weeks to come. As for me, I’m going to try and sneak in another game!